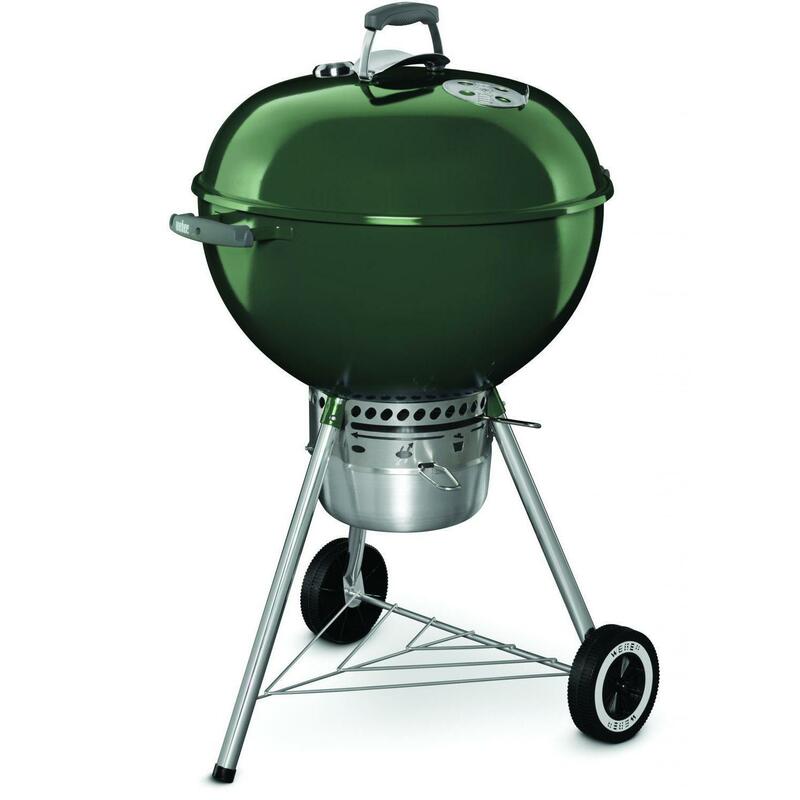 Product Description: Weber Original Kettle Premium 22-Inch Charcoal Grill - Green. Experience the charcoal revolution that started it all with a Weber kettle-style BBQ grill! 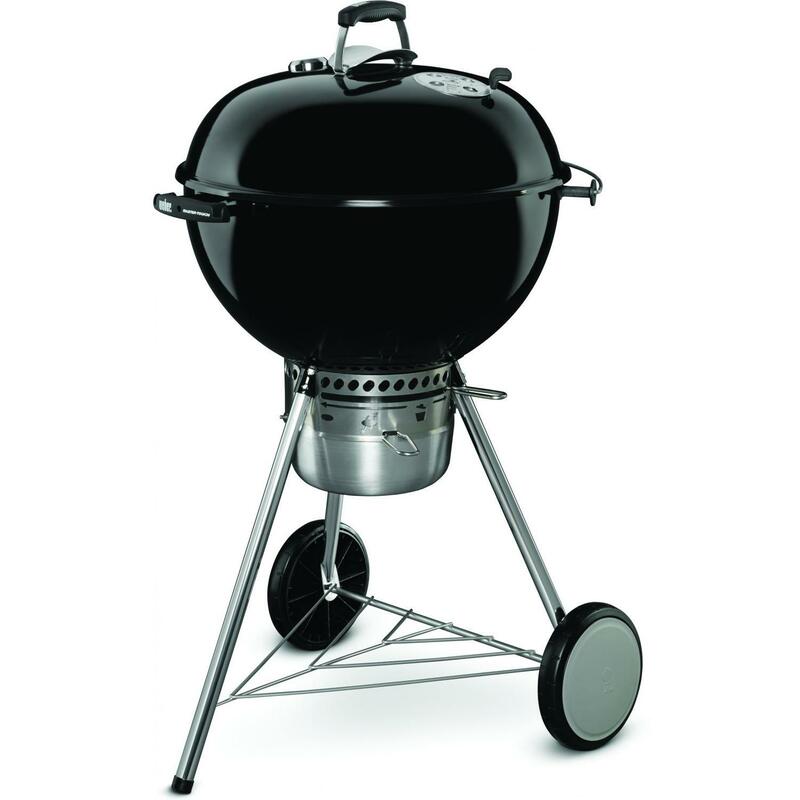 Weber kettles combine traditional, iconic design with innovation in production and versatility. 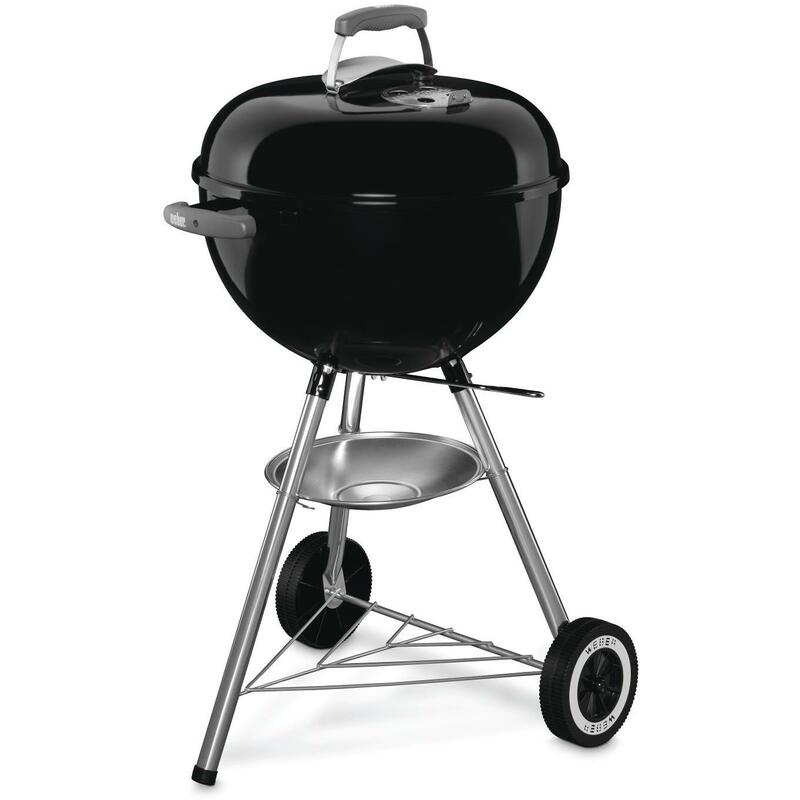 Made of premium-grade U. S. Steel coated with porcelain enamel inside and out, the bowl and lid of the Weber Original Premium charcoal grill are precisely formed to allow heat to circulate evenly inside the grill and across the 363 square inches of cooking area. 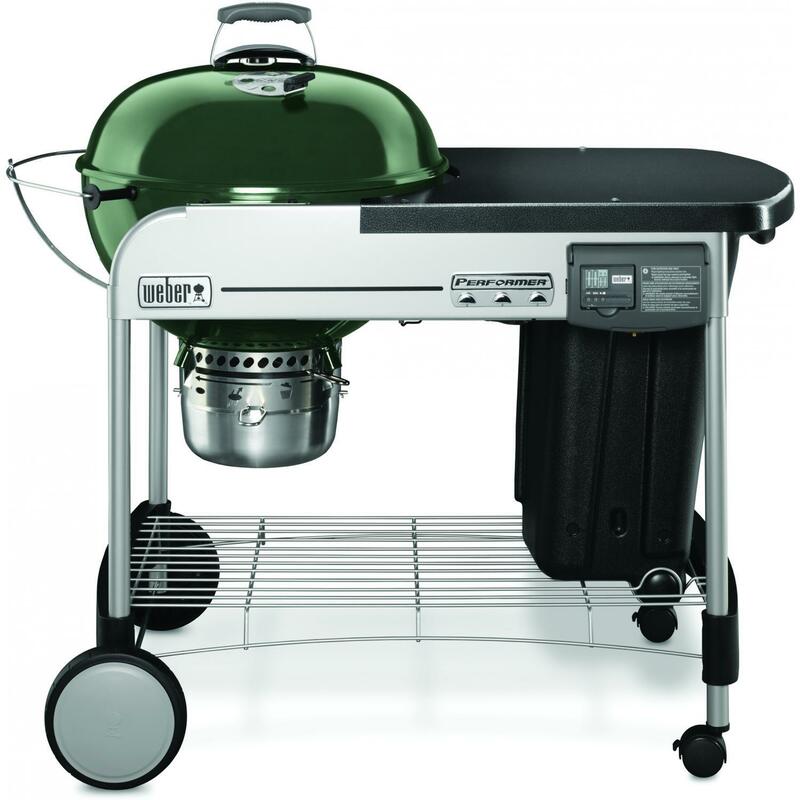 The green porcelain-enamel coating is baked on, fusing the finish to the steel to prevent rusting and peeling through years of use. 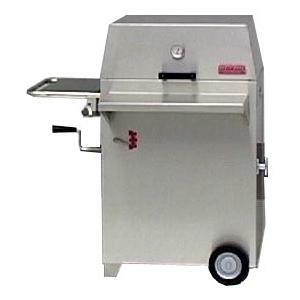 The aluminized steel One-Touch cleaning system makes clean-up hassle free. 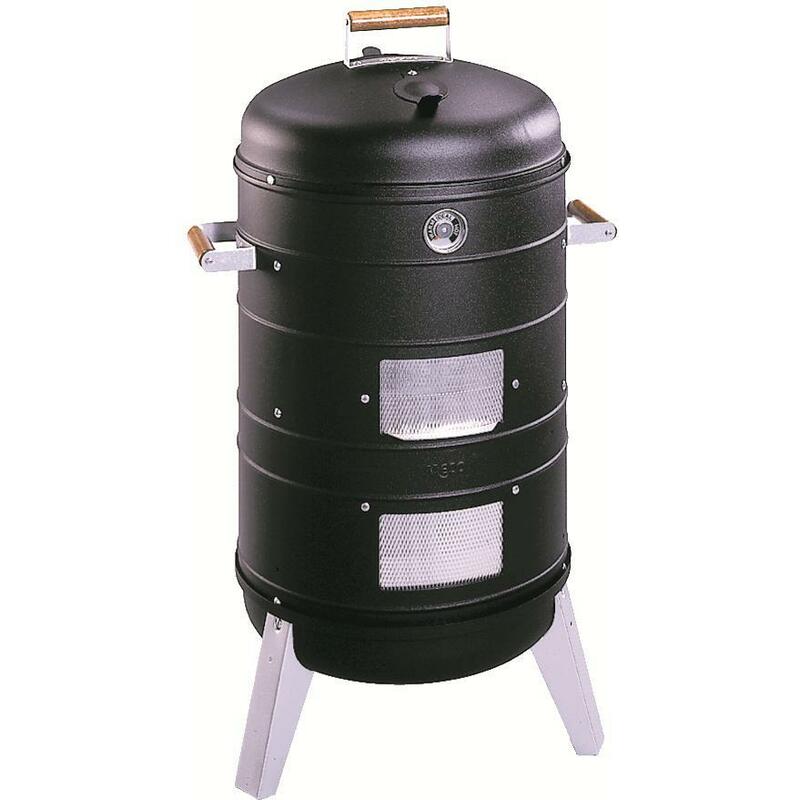 As you rotate the handle, three blades in the bowl move ash through the vents and down into the removable, high-capacity aluminum ash catcher below, which is enclosed to prevent ashes from blowing away and creating a mess. 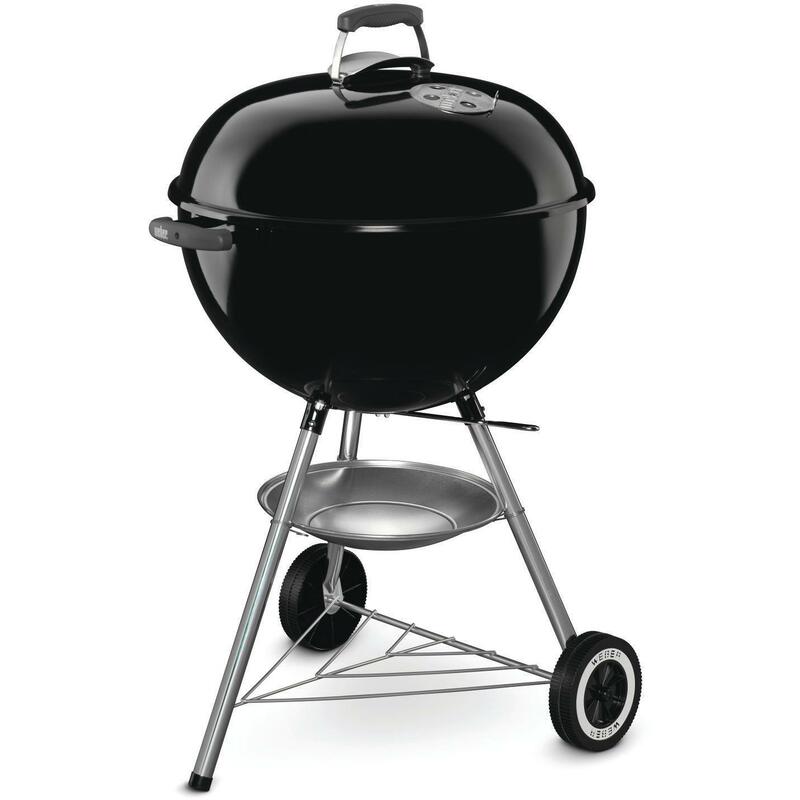 Only the unburned coals remain in the bowl and can be re-lit for your next barbecue, which helps you save money on fuel. 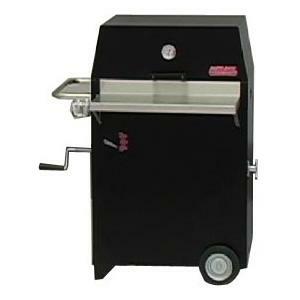 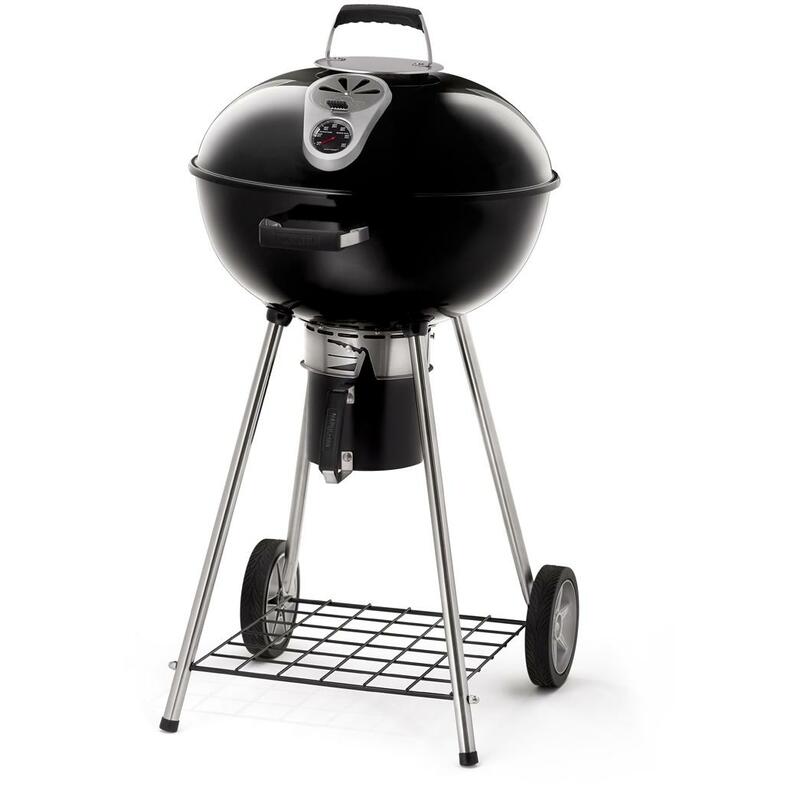 The adjustable, no-rust aluminum top vent provides the proper airflow needed for perfect grilling and, along with the built-in thermometer, helps you to control the temperature inside the grill. 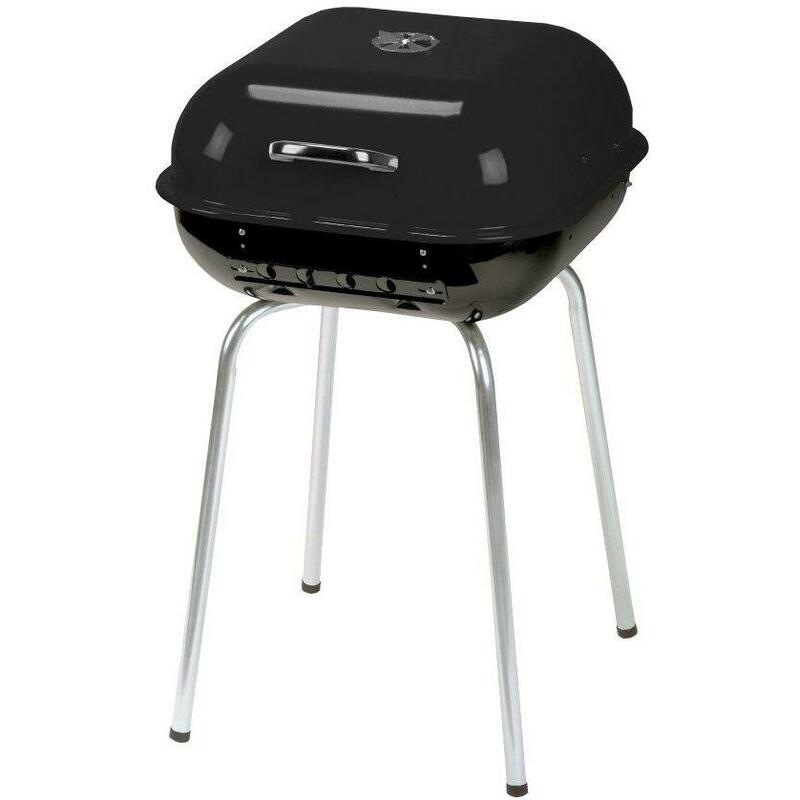 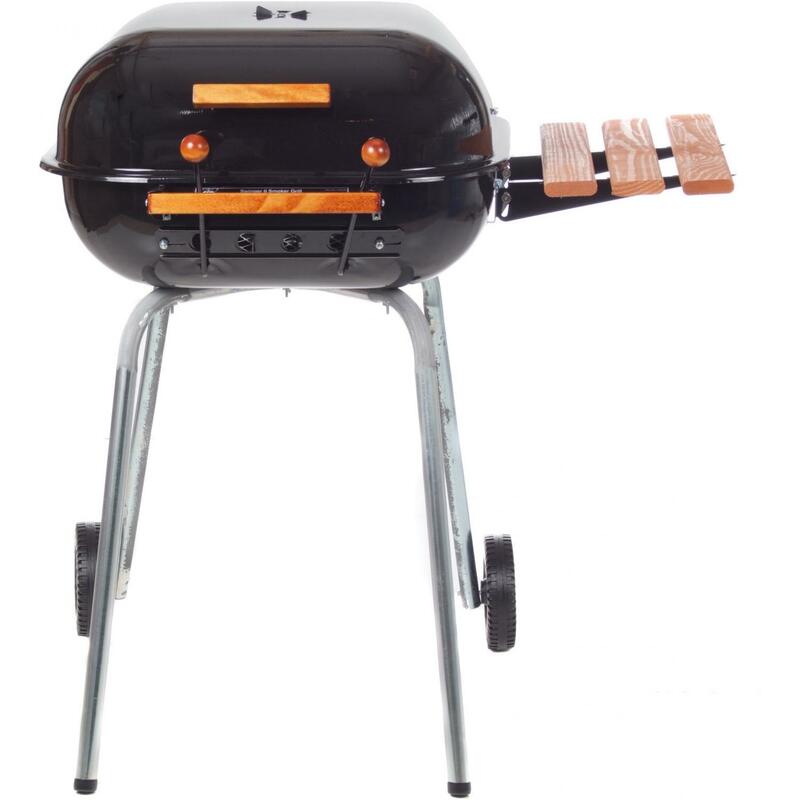 Weber Original Premium grills also feature hinged plated steel cooking grates, for easily adding more charcoal, three glass-reinforced nylon handles that will withstand the elements for the life of the grill, two of which have built-in tool hooks, and a hook that conveniently allows you to hang the lid on the bowl while you grill. 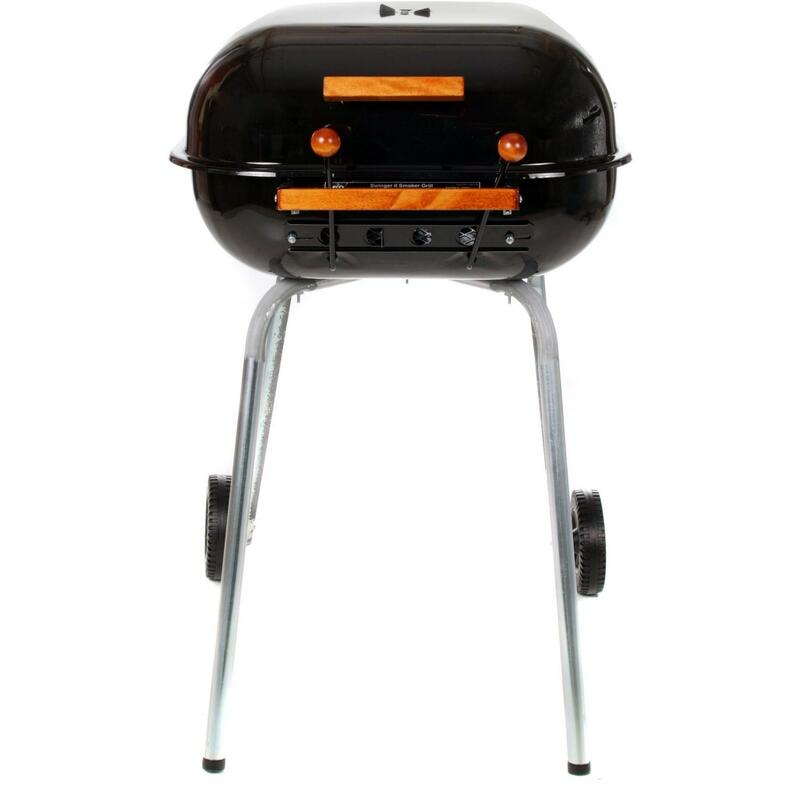 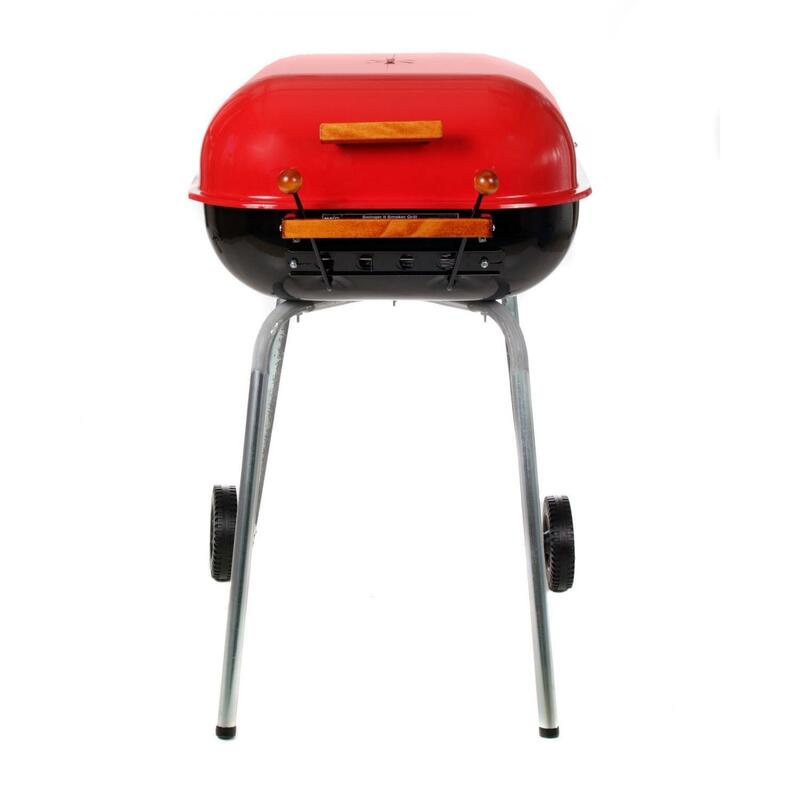 Aluminum legs elevate the grill to an ideal height for grilling and two durable all-weather wheels, that are virtually indestructible, make moving the grill easy. 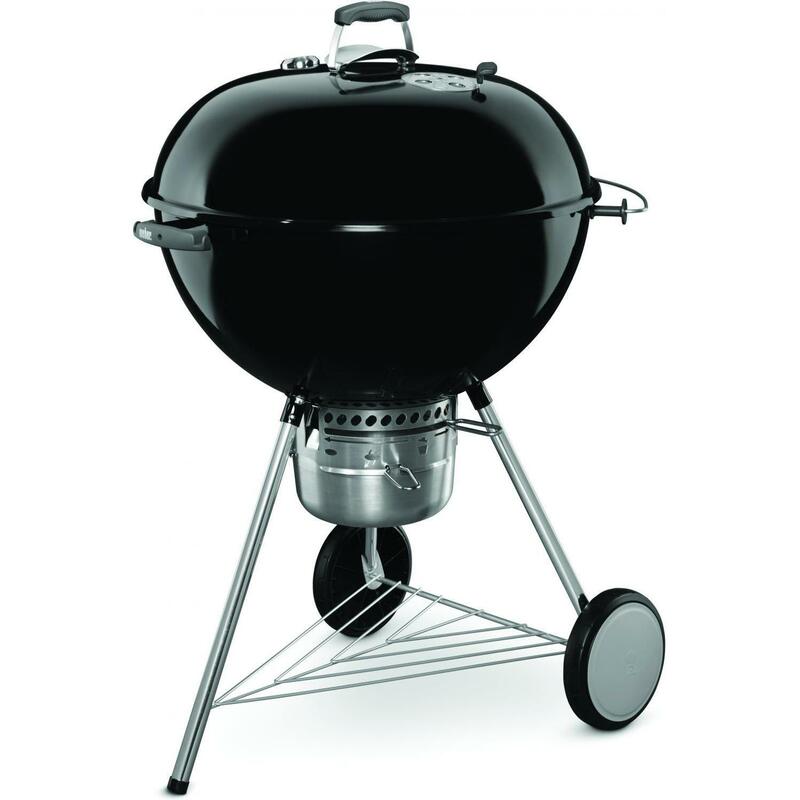 A classic, dependable design, the Weber Original Premium Kettle charcoal grill is engineered with the backyard griller in mind!